The suburbs of Wilmington, DE welcomes new businesses to its community. Commercial renovations in Wilmington, DE have to be approved by officials. There have been efforts underway to encourage new renovations in and around the communities. Area beautification happens in stages for anyone following these projects. Wilmington, DE has several major commercial builders who operate locally and one of the most recognized is First State Contractors. 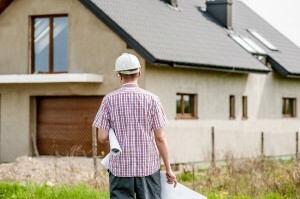 Property managers may supervise these projects from start to finish. Blueprint designs will explain building features and other important aspects of team management. First State Contractors of Wilmington, DE offer other considerations. These buildings may be re-used for new businesses moving in to the area. Advanced planning is required before ground level work takes place. Each building may play multiple roles within the development of a community itself. Education can take place within a building planned for other projects. Parking and retail should be offered for teams willing to sell items. Food services will be delivered to people working or living within the building. Commercial renovations in Wilmington, DE offer new services for anyone interested. Investors often want builders to diversify their projects with these efforts underway. First State Contractors work to unveil its latest innovative projects. Green building initiatives will minimize energy consumed while the project gets underway. They have also made safety a priority during the construction itself. It is possible to bid to First State Contractors for a new contract. Cost and time estimates are offered to prospective clients. First State Contractors also offers walking tours of completed projects for new clients. Call 866-398-9103 or contact us here to get started immediately.